As a performance improvement system, Six Sigma came to the forefront during the 1990s and by the early 2000s; it became the prominent worldwide approach to performance improvement. By 2005 the combination of Lean principles and a Six Sigma program focus have resulted in a turbocharged version to adapt to performance improvement. Lean Six Sigma has pushed aside the worldwide industry adaptations of ISO 9000 and the once in vogue concepts as process reengineering, TQM, and the Baldrige National Quality Criteria. Some would counter saying adapting Lean Six Sigma does not mutually exclude use of those other approaches because Lean 6s includes many TQM and process management tools. Just the same, even in its evolved adaptations, what distinguishes Lean 6s is its myopic focus on targeting 3.4 defects per million outputs and driving out all forms of waste while focusing on value as perceived by the customer. This has great appeal because it is relentless in driving out waste, removing layers of unnecessary cost while providing a direct improvement on bottom line profitability. Even so — and there’s now case after case of success — the bandwagon approach adopted by most organizations is deficient. They have ignored Rapid Knowledge Transfer including benchmarking as a means to achieve leverage. Six Sigma solutions are too internally focused; they have not employed outside learning to adapt practices that have produced outstanding results in other situations. This needs to be corrected to obtain maximum benefit sooner. 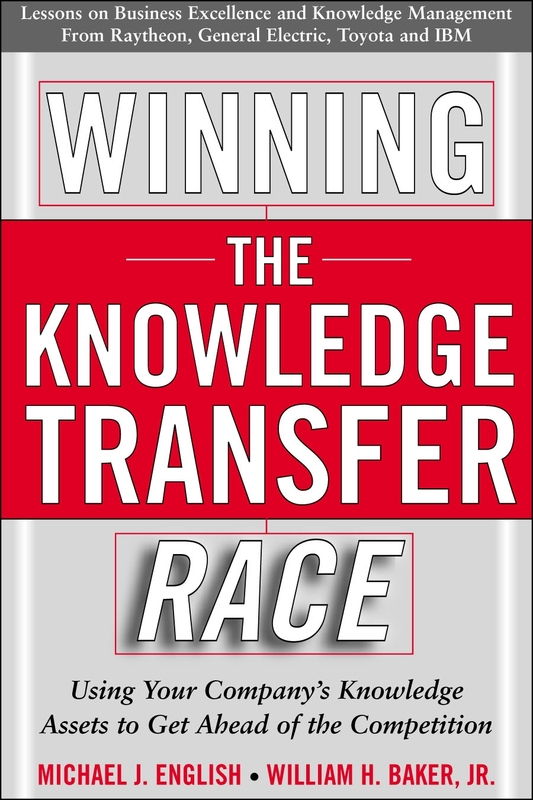 Accordingly, my book, Winning the Knowledge Transfer Race, focuses on how to integrate Rapid Knowledge Transfer (RKT) into any new or existing 6s improvement implementation. The outcome intended is the creation of faster continual learning from the world’s stockpile of knowledge. Such learning will open and clear pathways to performance excellence with lower risk and more assurance of success. Consequently, it will be executives, managers, senior thought leaders, black belts, green belts, and everyday quality practitioners who will use and benefit from this approach. Mega-cap companies like GE, Motorola, and Raytheon have been able to make all the necessary 6s investments and resource allocations without endangering other essential outlays for new products and services. Small organizations usually don’t have that luxury, but their improvement approaches still require passion and commitment by leadership, even though the financial investments involved may be modest, scaled down, and affordable. Cost savings that return 100% of the outlay within nine months while producing sustainable strategic and competitive advantages are possible. We call this the “roadmap” for small or undercapitalized organizations. Such an endeavor is exciting. While the published literature regarding Lean and Six Sigma has grown considerably during the period between 2000 and 2006, none of it, so far, addresses how to integrate and leverage Rapid Knowledge Transfer. But adding RKT to the Lean 6s recipe can produce extraordinary results. So far, the Lean 6σ methodology focuses too internally for solutions that reduce process variation, defects and waste. Absent is the search for and adaptation of best practices. That is my primary purpose. The intellectual capital of the organization is the key element to survival in the 21st century. No longer are the physical attributes and assets of a company of significant value. The wise knowledge gained and the special knowledge embedded in the companies’ core competencies are the real value of the firm and what the stockholders are investing in and counting on for the future. By creating an “Innovation Pipeline” and nurturing fresh ideas from inside and outside the company, we can create value added solutions that our competitors do not have. By searching for knowledge and applying it to customer desires these new knowledge assets can help us grow faster than the competition. Management must support and assign resources to make the cultural change happen, however, for this learning process is not “natural”. Employees must be encouraged to SHARE and REUSE Knowledge. This can be done in a myriad of ways such as: conducting best practice exchanges, accessing knowledge databases worldwide, participating in learning networks, and forming and promoting Communities of Practice (CoP’s). This is a relatively fresh approach to organizational learning that flourishes because it makes imported learning a regular part of daily work, resulting in solving problems faster and focusing on sharing knowledge throughout the organization. Some of the sources for this innovation and learning include benchmarking, best practice research, knowledge sharing, employees’ ideas, input from customers and stakeholders, knowledge reuse, and research and development. As a centerpiece, all four phases must be supported by a leadership priority to Create a Knowledge-Enabled Culture. I’ve found that few leaders embrace this far reaching but long term benefit. Let’s look at history to examine the effect of speed of knowledge transfer. Even the earliest humans, the Cro-Magnon man, finally succumbed due his lack of communication and lack of knowledge transfer capability. We homo-sapiens survive because we developed knowledge sharing and reuse ability and took advantage of it. Down through the ages the speed of knowledge transfer has increased via new technology such as the printing press, the telegraph, the telephone, television, e-mail and instant messaging. As these tools have helped speed up the ability to share knowledge, most organizations have been slow to recognize that they are indeed in a race with their competitors to leverage their core competency knowledge to their advantage. The historic approach has been for individuals to “invent” something, patent it and rake in the profits until the patent ran out. No longer is that the safe and sure approach. Worldwide manufacturing, marketing, sales and economic activity have increased the speed of competition and cut the patent protection feature. One of the key elements of learning is humility and the recognition that we can learn from everyone. Hi tech companies can learn from low tech companies and vice versa. It’s all about process excellence and no one has a monopoly on good processes. From this basic tenet then the next step is for leadership to promote importing Best Practices, but remember Best Practices aren’t forever and must continually be challenged. A key tool to use is to use the Benchmarking process to compare & learn fast. Remember organizational change requires us to get buy-in from “Process Owners” to change. They must believe a change is necessary. An effective tool to look at processes is the American Productivity and Quality Center’s Process Classification Framework (PCF) to understand process performance. It’s available free at www.apqc.org. Root cause analysis can help to understand the basis of certain problem areas and by asking the “Five Why’s” it often adds enlightenment and deeper knowledge. One of the biggest barriers to learning is the famous “We’re Different” thinking. Even though everyone is different and industries are different, the fact that people think that they cannot learn from others is a major barrier to learning. We must obliterate that kind of thinking! In the earliest Benchmarking example, Xerox learned warehousing best practices from L.L. Bean, a marketer of outdoor clothing and gear including canoes and rubber boots. This was a revelation to the high tech Xerox executives! To get the learning jump started leaders have established Knowledge Sharing Symposiums in off site meeting and celebrated the occasion to make it fun. An important element is leadership must provide recognition & rewards for both knowledge sharing & reuse. Sharing requires 2/3 of the energy and work for knowledge transfer, so leadership must answer the question “What’s in it for me?” It’s not NATURAL for many to share their power (knowledge = power), so there needs to be a reason, both personally and emotionally. Reusing also takes energy, passion and commitment and the people must be open to use others ideas and improve on them. The next phase is where we use our knowledge to create customer value by creating products and services that the customer needs. Part of this is the development of our Human Capital. This is the “smarts” of our people and focusing them on value to customers and the firm. Education, training, collaboration, developing teams and career planning all comprise some of the hot points. One of the most valuable is the forming of Communities of Practice (CoP’s) to promote fast learning and sharing in specific topics of interest. CoP’s are very good at promoting sharing across projects and geographic locations between people that are otherwise isolated or work in smokestacks in the organization. They can produce glorious breakthroughs. CoP’s are fragile and are usually outside the formal organization structure, but must be supported by the formal leaders and allowed to have resources like time to meet and a place to meet. A CoP Facilitator is necessary to call meetings and continually set agendas that are of interest and see attendees are getting value. If no value is received, CoP’s will die a natural death. The payoff comes in Phase 4. One approach to value and profits is to create an “Innovation Pipeline” using necessity, shared vision, & learning. This is not only the organization generating ideas but actual products and services by focusing the mindset on customer value opportunities. Our best and fastest payoff is through emphasizing Reuse rather than Reinvention. Reuse is less risky, faster and more profitable that waiting for a “new” invention. Leadership must take Action and speed up learning cycle times. Planning is essential but the real learning is in the adaptation of the plan to the changing market conditions. We actively promote using DMBAIC to achieve 6σ excellence – Define, Measure, Benchmark, Analyze, Improve, and Sustain. We added benchmark as a step to emphasize this reuse benefit by adapting others best practices. By combining current ideas into a third product or service many new innovations are created and have been recognized for their excellence in magazines like Business Week. We have discussed the importance of Rapid Knowledge Transfer in today’s economic world and the positive impact it can have, particularly when integrated with Lean 6σ improvement initiatives. With many improvement projects underway we found companies were not truly taking advantage of success sharing across these projects i.e. the right hand did not know what the left hand had already accomplished. By sharing knowledge, best practices and lessons Learned across improvement projects we can speed up, even more, the results we are all seeking in performance excellence! There is time and resources assigned to do Rapid Knowledge Transfer (RKT) – This is big culture change! Benchmarking is used to set goals and learn fast! 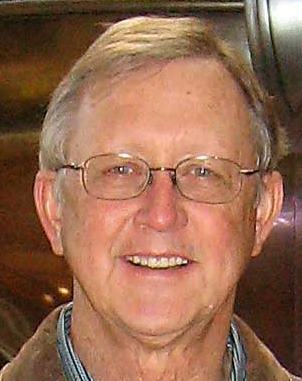 Bill Baker was the knowledge management and benchmarking champion for the Raytheon Company. He was responsible for awareness, training, coordination and execution of Benchmarking and Knowledge Management activities in order to deploy Raytheon Six Sigma™ throughout the company. His previous experience includes manufacturing and operations management on various missile programs, geophysical exploration, space exploration and space propulsion. He contributed heavily to Texas Instruments/Defense Systems Electronics Group’s winning application for the Malcolm Baldrige National Quality Award in 1992. Mr. Baker was with the TI since 1971 and was Benchmarking Champion from 1990 until Raytheon absorbed them in 1997. He led the Knowledge Management Deployment Team in Raytheon. Mr. Baker was instrumental in receiving the American Productivity and Quality Center’s 1994 Award for Excellence in Corporate Benchmarking and he also received three APQC Study Awards for outstanding Benchmarking Studies in 1994 and 1996. He was a key member of the Texas Instruments Knowledge Management design and deployment teams known as “Best Practice Sharing” implemented in 1995 and recognized in the 1998 book, “If Only We Knew What We Know”. The Raytheon Knowledge Management process was recognized in 2000 by APQC as a Best Practice. Mr. Baker is a board member in the Association for Manufacturing Excellence (AME)-Southwest Region, Senior Member of American Society for Quality and a Senior Member of the American Institute of Aeronautics and Astronautics. He was Benchmarking & Knowledge Management Chairman of the ASQ Quality Management Division from 1998 to 2001 and completed the Knowledge Management assessment and plan for QMD. In addition, he wrote the section on benchmarking in the ASQ Certified Quality Manager Handbook. He was the Program Chairman for the 1997 and 2002 AME Annual Conferences, which drew over 1000 attendees each and the Conference Chairman for the 2005 Conference that drew 1500 attendees. He served on the associate staff of the Boston College Center for Corporate Community Relations and has contributed articles to the National Productivity Review, Target, Quality Progress and his work has been featured in numerous books. He is referenced in “The Complete Guide to Knowledge Management” and “The Knowledge Evolution” and is a frequent speaker on Benchmarking, Performance Measurement, Knowledge Management, Raytheon Six Sigma and the Lean Enterprise. He, along with co-author Michael English, published their best selling new book, Winning the Knowledge Transfer Race: Using Your Company’s Knowledge Assets to Get Ahead of the Competition with McGraw-Hill in 2006. Mr. Baker received his Bachelor of Science in Mechanical Engineering in 1963 from the University of Mississippi and his Masters in Business Administration from Southern Methodist University in 1973. Mr. Baker and his wife, Martha, who is an internationally recognized artist, reside in Santa Fe, New Mexico, USA. Welcome to Speed To Excellence and the website of STE, established in 2004 to aid and assist companies in Learning Fast to achieve excellence. Our focus is on the Competitive Race that we are in— whether we know it or not! It’s all about how fast we learn and sucessfully apply those concepts. STE’s main focus is sharing knowledge in order to transform companies on the path to excellence in a rapid manner by using all the appropriate tools available such as the “5 pound hammer on the right size nail” and the “forceps on the boiled egg”! With our many years of being on the operational experience journey in many varied industries under all conditions including Lean Transformations and Lean Six Sigma implementations, we can help plan strategies to beat the competition rapidly! Posted in Uncategorized. Comments Off on Welcome! !